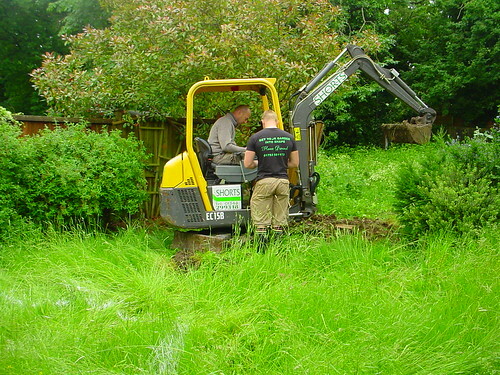 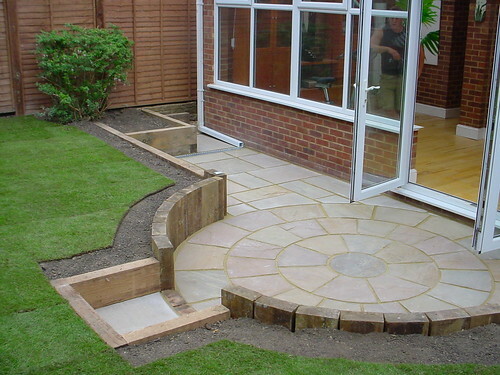 This landscape gardening project in Macclesfield used a variety of materials in order to construct the new garden. 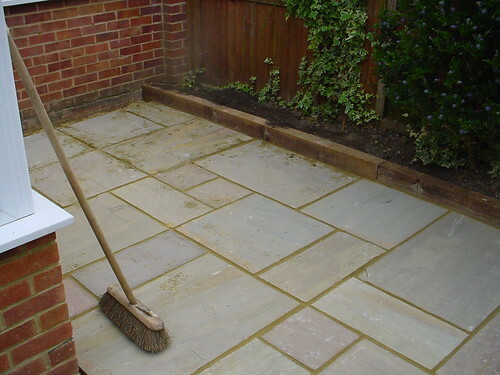 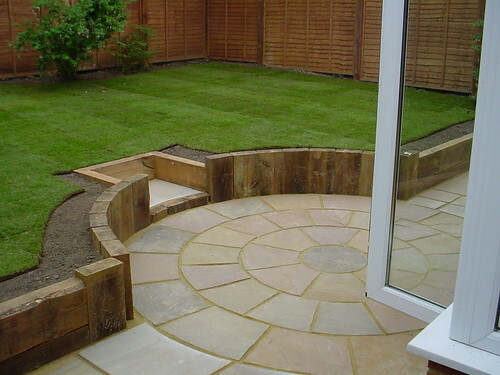 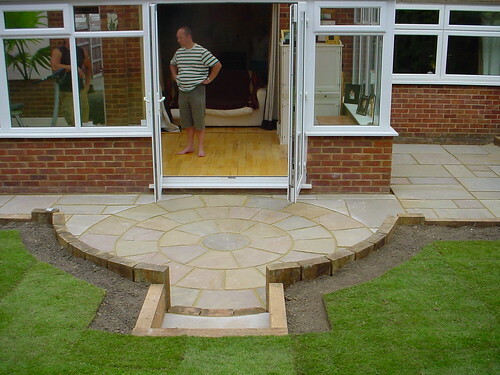 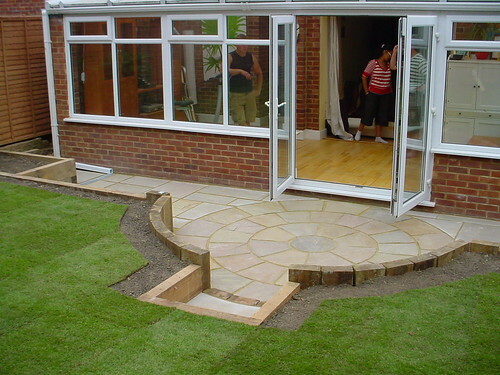 The client wanted to use a natural sandstone circle to create a new patio area. 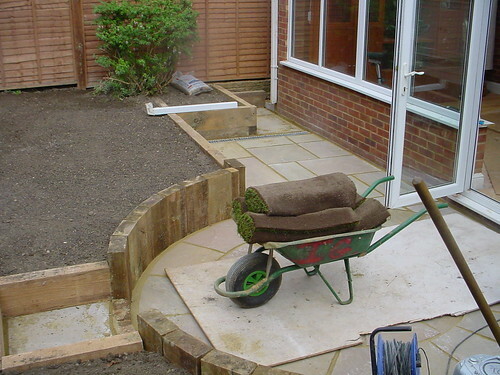 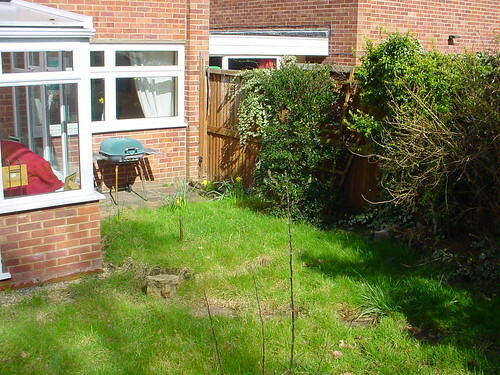 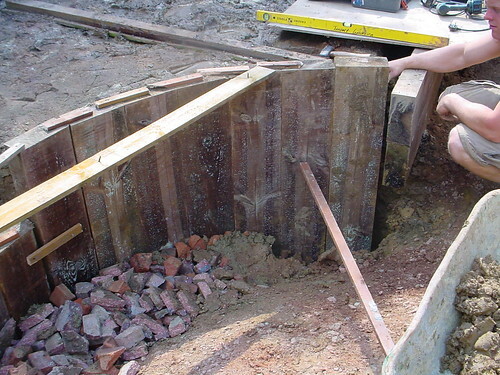 With the garden rising away from the house, a retaining wall would be built using reclaimed railway sleepers. 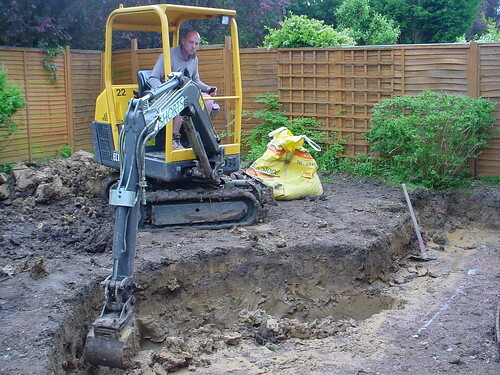 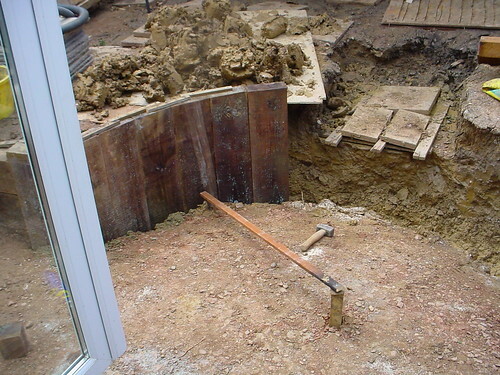 The project got off to a flying start with the excavation taking only one day for all the footings and ground clearance........then the rain started! 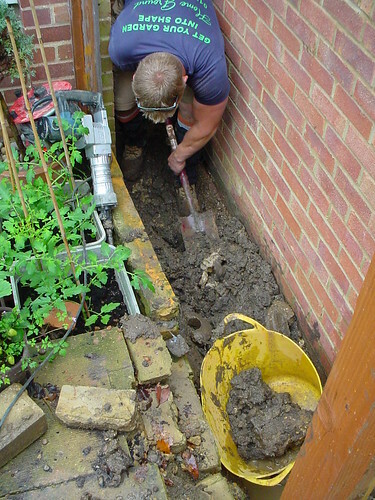 With the ground being heavy clay this posed a few logistical issues. 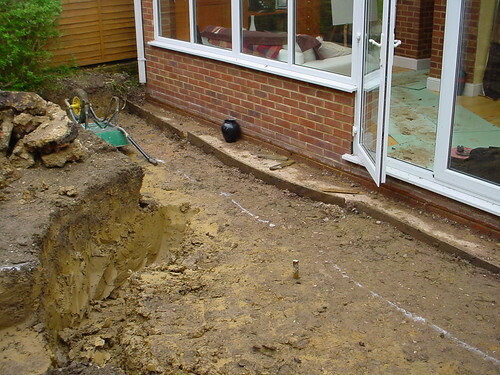 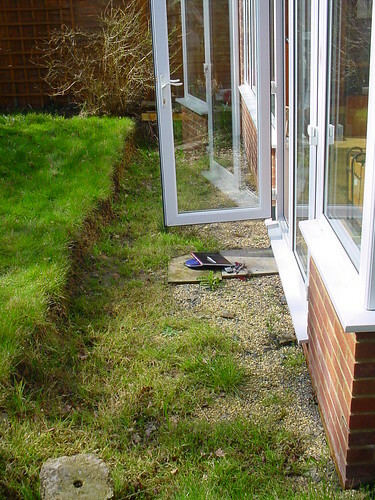 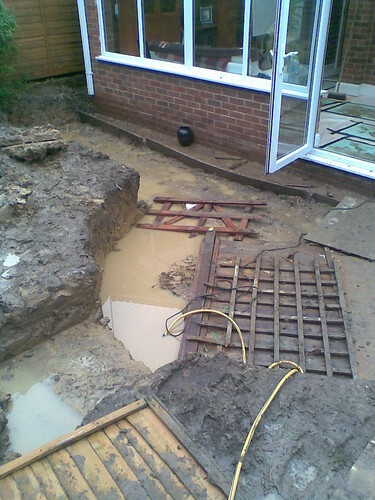 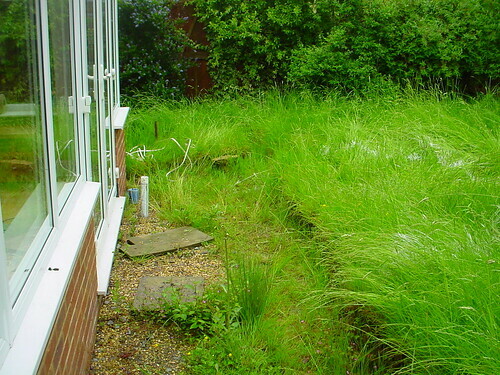 However we perservered to complete the project - a big problem being the lack of drainage coming from the new conservatory. 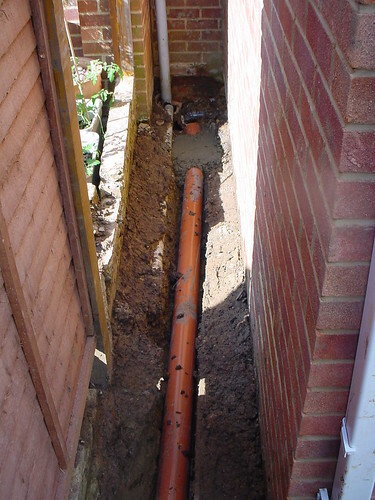 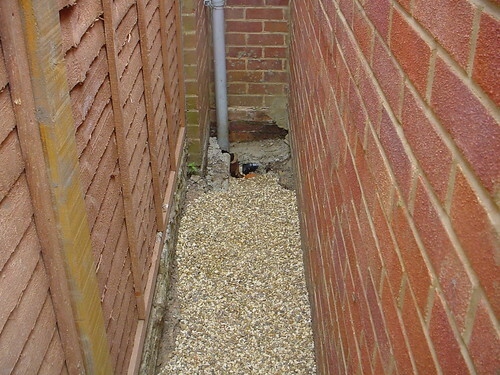 We therfore installed a new drain and acco channel to direct the surface water away appropriately. 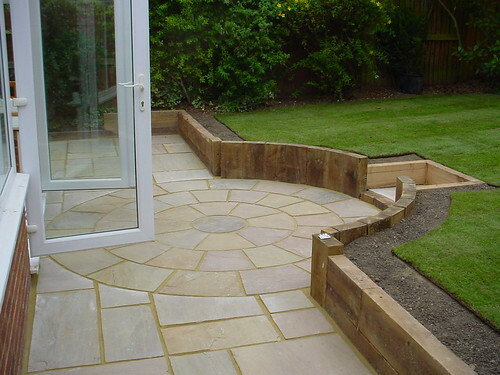 The new Indian Sandstone patio and circle wereneatly edge using the reclaimed sleepers. 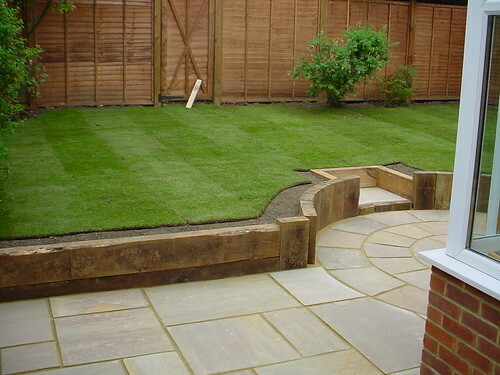 A new perimeter waney lap fence line with garden gate and new lawn area completes the garden, creating a low maintenance outdoor space for the clients to enjoy during the summer months. 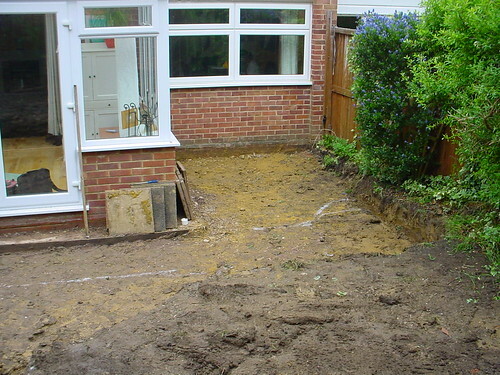 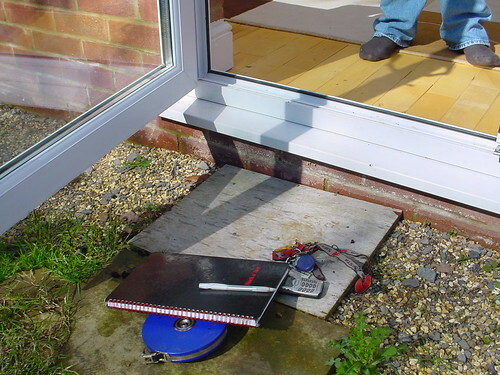 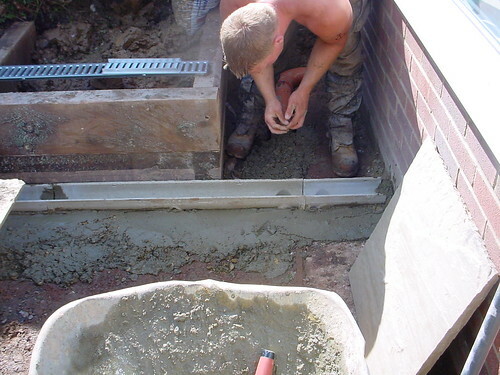 The project was completed in 12 days at a cost of £7500.